I have another printable for you all today to use with your little ones. 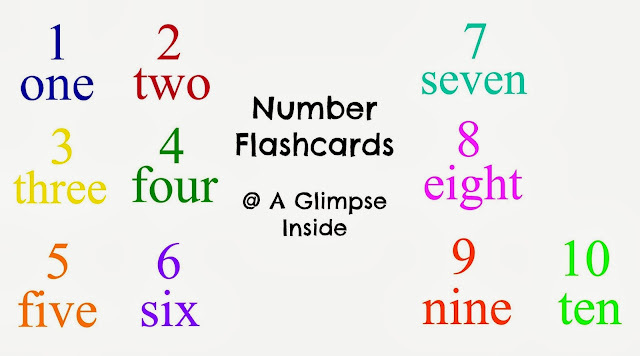 I previously created and shared some Color and Shape Flashcards and I now thought it would be good to work on number recognition so I created some Number Flashcards. You can download or print the flashcards below. I printed mine on cardstock paper so they are thicker then just cut them apart using my paper cutter.